Freemasonry came to Nebraska Territory with the first hearty pioneers who settled here in the 1850s. On April 3, 1855, the first meeting of Bellevue Lodge was held at Peter Sarpy’s trading post at Bellevue, Nebraska, about 12 miles south. 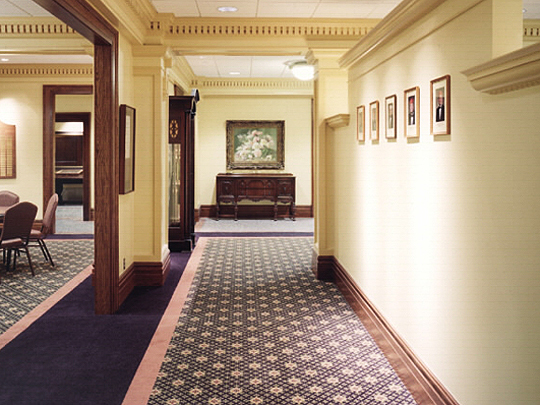 The Lodge was chartered by the Grand Lodge of Illinois as Nebraska Lodge #184 on October 3, 1855. On January 9, 1857, the Grand Lodge of Iowa issued a dispensation for brethren to meet in Omaha City. 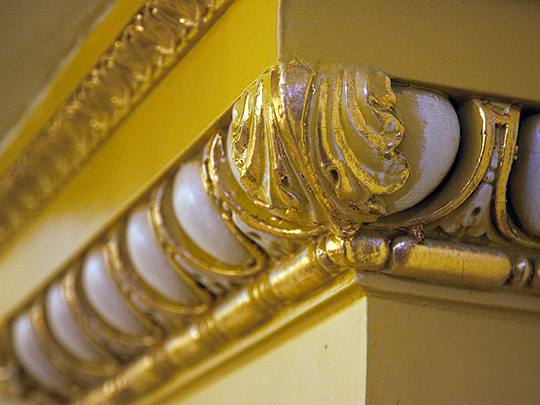 On June 3, 1857 the Grand Lodge issued a charter for Capitol Lodge #101. In September, 1857, the three Lodges met in Omaha and constituted the Grand Lodge of Nebraska. Robert C. Jordan of Capital Lodge was elected the first Grand Master of Masons in Nebraska. 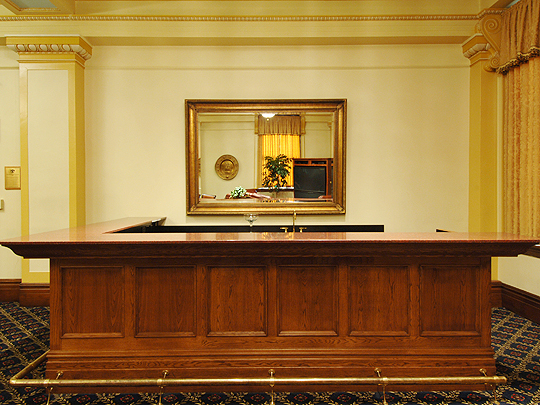 The three Lodges were then renamed Nebraska Lodge #1, Western Star Lodge #2, and Capital Lodge #3. From these beginnings, Masonry quickly spread across the state. The degrees of the Scottish Rite first came to Nebraska in 1867 when Lt. Grand Commander Azariah T.C. Pierson conferred the degrees on seven Masons, including Robert Jordan. In 1870, Frederick Webber of the Supreme Council returned to Omaha to confer the degrees on five more men. First joined the Independent Order of Odd Fellows in 1840 then had in the interim joined a Masonic Lodge and become extremely active in the affairs of the organization, being elected Sovereign Grand Commander of the Scottish Rite's Southern Jurisdiction in 1859. Reminiscing over 50 years later, Judge Charles Catlin recalled, ". . . [W]e sat from 9:00 a.m. until 11:00 p.m. for three days, in an atmosphere so dense and foul with tobacco smoke we could cut it with a knife, while Bro. Webber read to us the secret Work of the several degrees, during which but few were fully awake much of the time and knew little more at the close than at the beginning." From these inauspicious beginnings, the Scottish Rite did not really begin to grow until the 1880s as Omaha's economy prospered with railroads, meatpacking, and commerce. 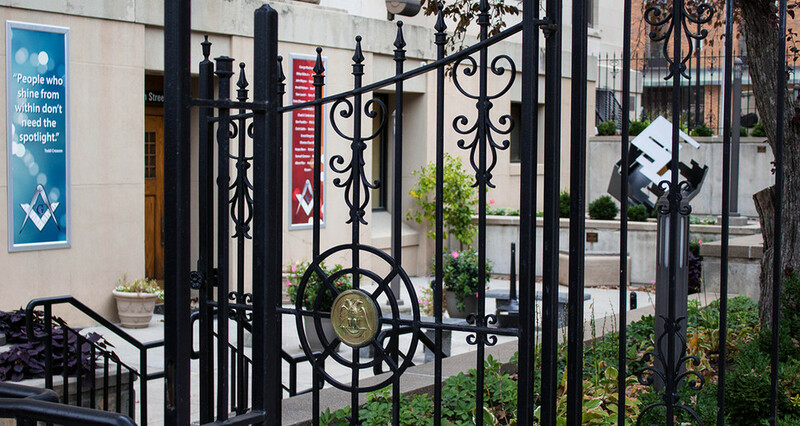 Freemasonry was flourishing when the Scottish Rite began to outgrow its home at Freemasons Hall, then located on the southwest corner of 16th and Capitol Streets. Land was secured "west of downtown" at the corner of 20th and Douglas for $18,630 in 1905. 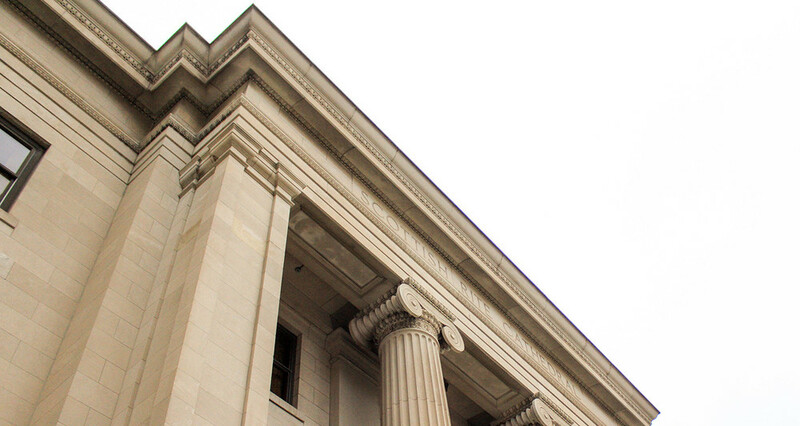 Construction began in 1912 under the direction of famed architect John Latenser, who was responsible for the Brandeis store, Omaha (Central) High School, and the Douglas County Courthouse. In 1912 the members of the Omaha Valley of Scottish Rite broke ground for the new building at 2001 Douglas Street. This magnificent neo-classical building covering approximately 47,000 square feet on four floors opened to the members in the fall of 1914. The building was fully funded through bonds issued, cash on hand, and petitions from new members in the November, 1914 "Dedication Class," who paid $141.50 to join, valued at more than $2,500 in today's dollars! 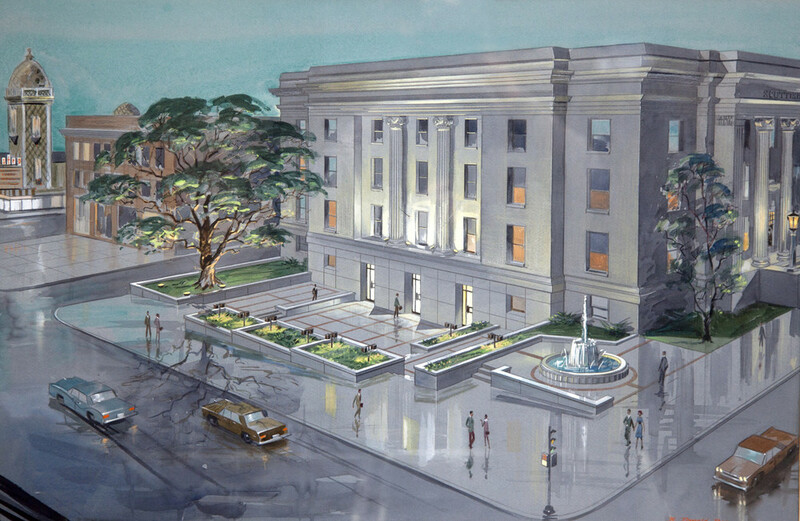 239 new members joined in the November 1914 Dedication Class, and the newly completed Scottish Rite Cathedral was opened to the public in a week of public events and celebrations. What an exciting opportunity it would have been to be part of that first Reunion Class of 1914 to receive the degrees of Scottish Rite Masonry! During this time, the Job's Daughters, Omaha Masonic Home (now the Omaha Home for Boys), Rainbow Girls, and Order of DeMolay were established and continue strong. The second chapter of the Order of DeMolay, now the oldest continually operating chapter, was chartered at the Scottish Rite Masonic Center and continues to meet in Omaha. Over the years the membership added the Organ (dedicated in 1926), had Bro. Thomas Moses, creator of Scottish Rite scenery come to Omaha to paint our original set of stage drops. Original seating from American Seating can be found in the balcony with the wires under the seats for men to store their top hats and a hook built in at the bottom of the standards for the ladies to put their parasols. In 1969, ground was sold just west of the Scottish Rite building to Farm Credit Bank, who built the current parking garage. As Omaha moved west, members debated selling the 50-year old building. A study was undertaken about remodeling the building as offices. Fortunately, wiser counsel prevailed and the Scottish Rite Brethren decided to update the building. 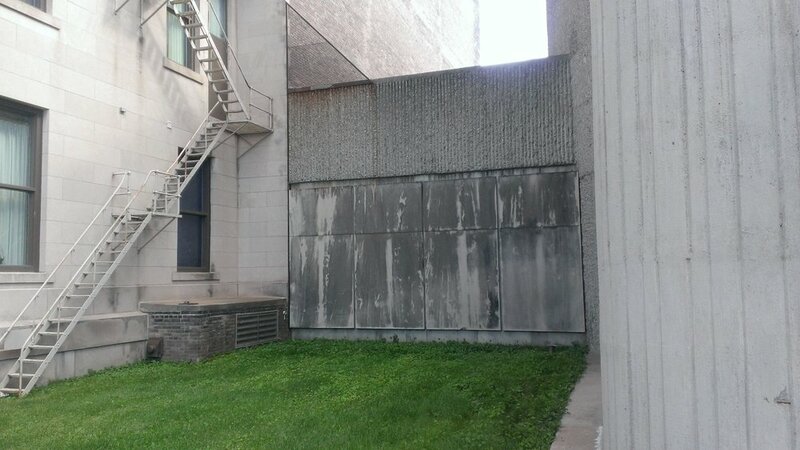 They added a larger kitchen, dug out the east side of the building to make a beautiful patio. (An article in the World Herald back then talked about the 140 year old oak tree being moved to the southeast corner of the patio. It’s still there today.) They moved the offices to the lower level from third floor and made a new entrance through the patio, changing the address to 202 South 20th Street. A fence and fountain was added later. Fast forward to year 2000 when the Line Officers and Cathedral Board members met to set goals and objectives for the future. 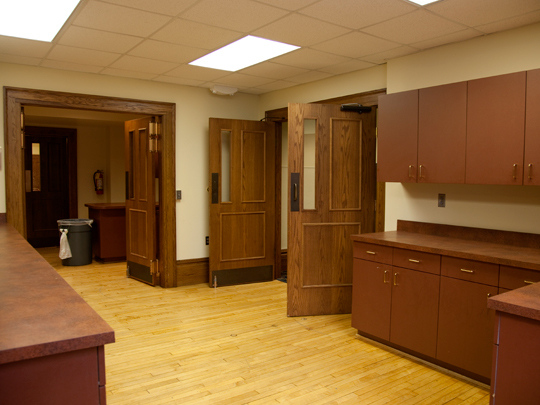 One goal was to again remodel and renovate the major areas in the building. 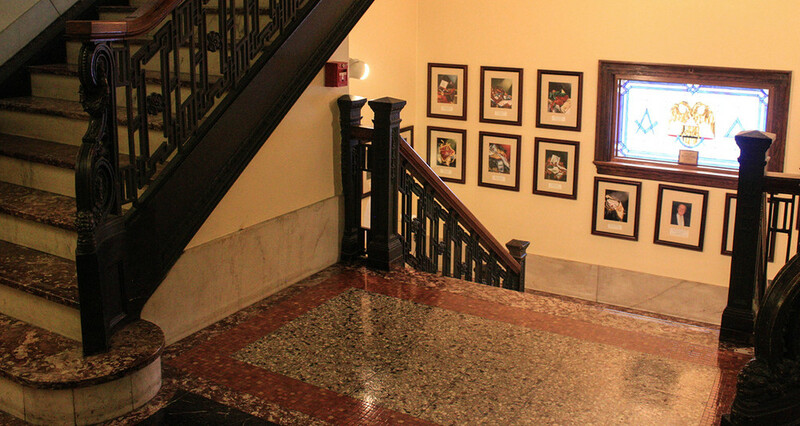 That year we remodeled the entire first floor enlarging the offices, adding a nice dining room and lobby matching the décor in the upper floors. 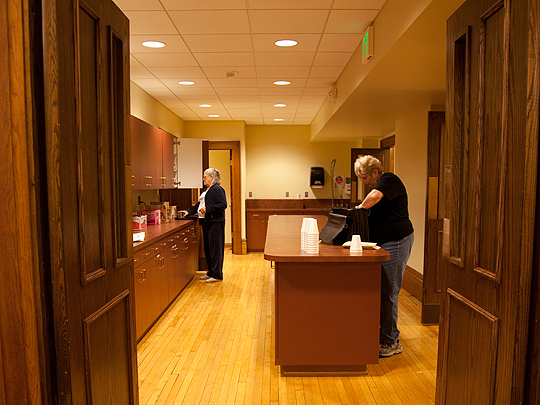 This was followed with the remodeling of the kitchen area which created the opportunity for volunteers called Culinary Masters to provide dinners before the monthly Lodge of Perfection meetings. 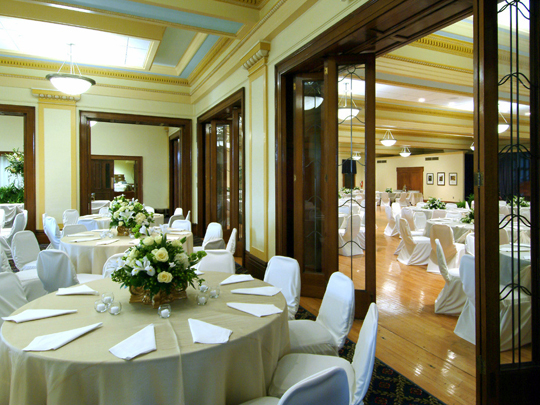 In 2002, the 2nd floor was renovated adding modern but period lighting, adding a lounge and serving kitchen. 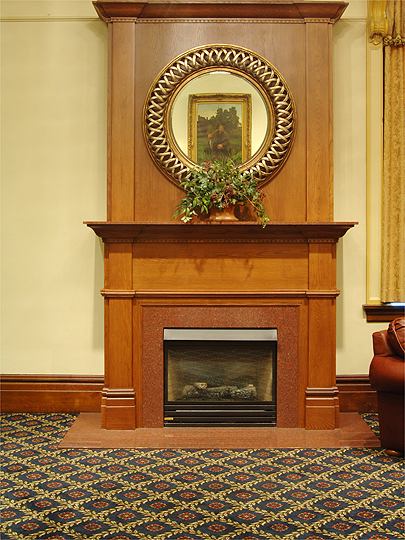 In the lounge a fireplace was built and a bar was added. Soon after completion we started the renting the building. 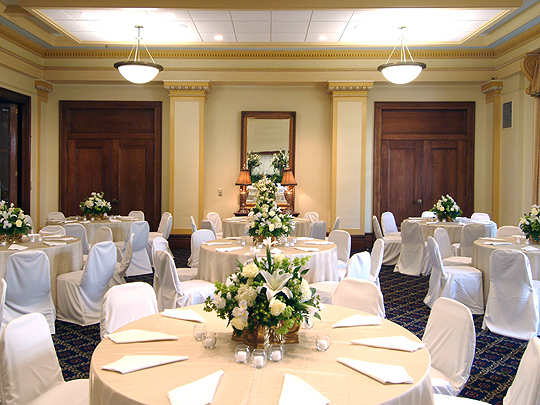 Today, without formal advertising, the 2nd floor ballroom is rented over 30 weekend evenings each year. 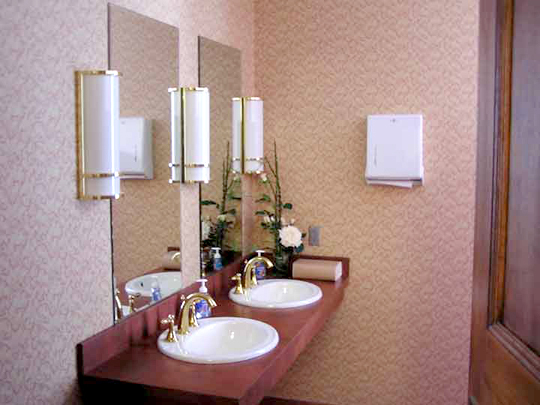 The auditorium was also offered but the restrooms on 3rd and 4th floor were for men only. 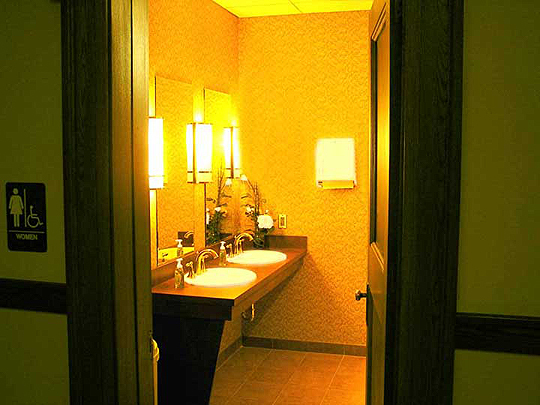 Remodeling was undertaken, adding appropriate ladies' facilities on these floors taking room from the lounges near the men’s restrooms. More recent renovation includes work in the auditorium to build state-of-the-art sound and lighting booth, add hardwood flooring and new seating. The old 1960s-style theater seating were updated with new, comfortable seats. 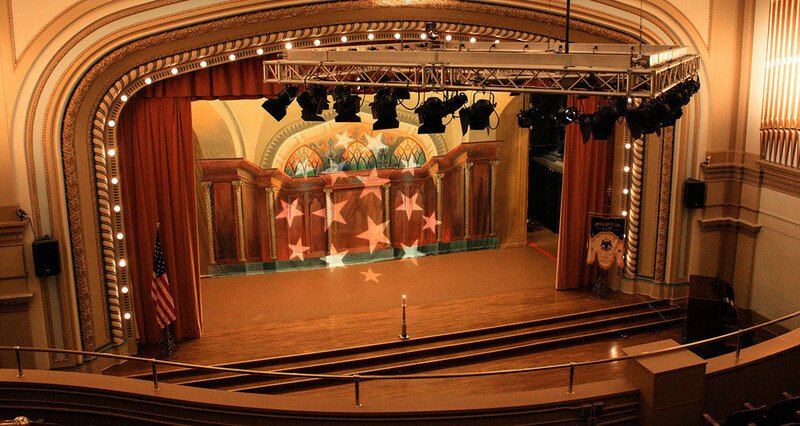 These significant upgrades open the Scottish Rite up to host concerts, plays, musical entertainment, making the Omaha Scottish Rite a go-to-place for arts and entertainment! Other goals established were to offer more social programs at the Omaha Valley. Today we book tickets to Broadway Shows that come to Omaha offering tickets, parking, food, drink and a bus ride to and from the shows. We offer wine and scotch tastings along with winery, golf outings and other events during the year. The annual spring and fall outings to the Papillion Gun Club to eat good food, socialize and shoot traps have been successful since 1990. As many as 425 men have attended on a Wednesday evening in May and again in September. 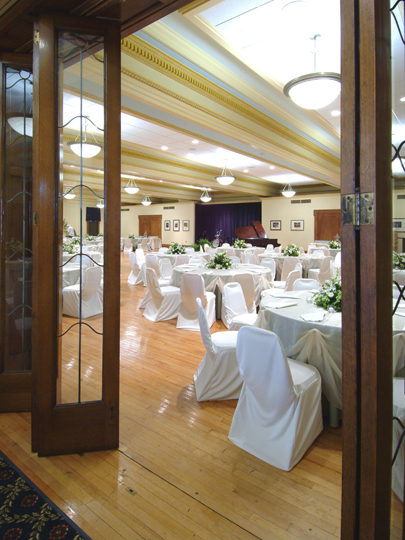 In 2011, members of the Scottish Rite began planning to celebrate the Scottish Rite Masonic Center's 100th anniversary. 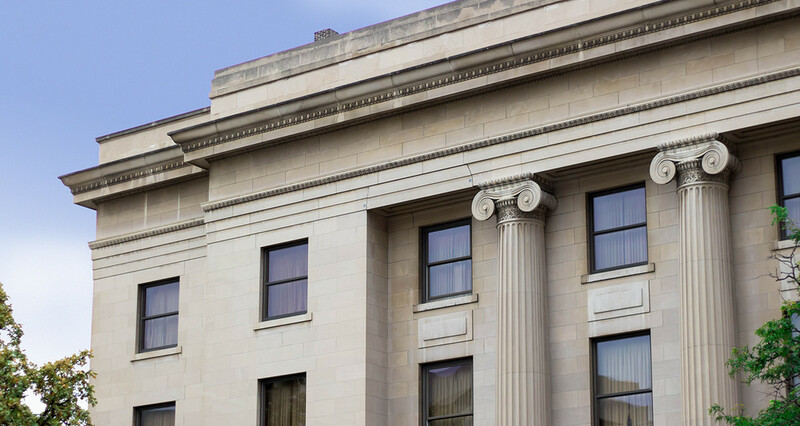 The historic building was added to the National Register of Historic Places, reflecting the thousands of members who have joined over the years and the beauty of the architecture. In 2012, the members participated in a ground-breaking re-enactment and the Grand Lodge of Nebraska rededicated the cornerstone during the Fall Reunion. 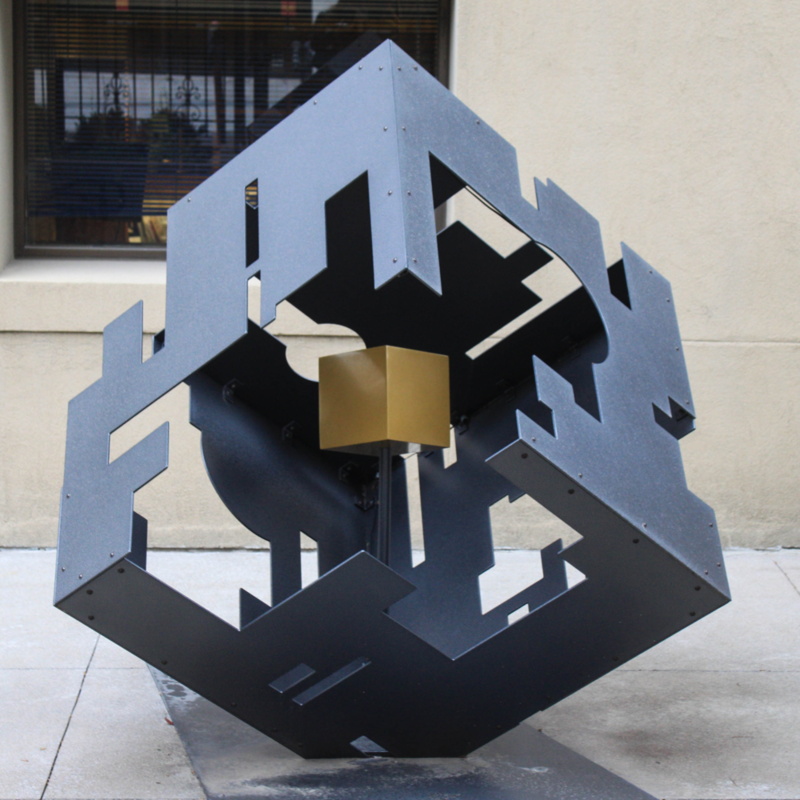 In 2013, local artist Charles V. Fisher designed and installed "the Ashlars," a sculpture in the courtyard reflecting the symbolism of the rough and perfect ashlars of Masonic symbolism. 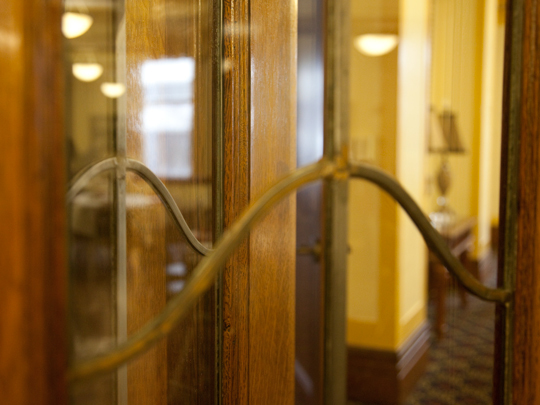 In 2014, members went on a tour of the Masonic Museum and Library in Cedar Rapids, Iowa, and the centennial celebration culminated in the Fall Reunion. 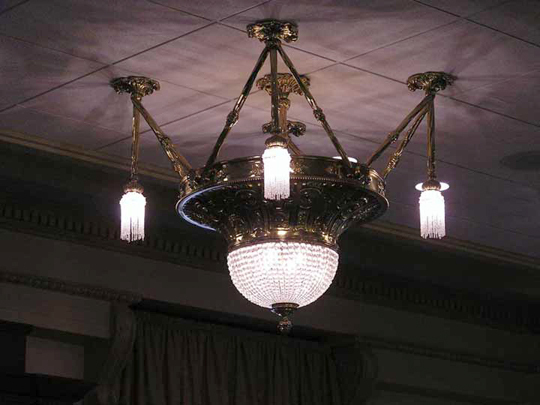 Sixty-three new members joined in November, 2014, and joined Masonic author and philosopher Ill. Bob Davis, 33° G.C., General Secretary of the Guthrie, Oklahoma Scottish Rite, in dedicating the Grand Cross Conference Room in memory of our late Ill. Brother Robert A. Falk, 33° G.C. The Reunion concluded with a photo with all Brethren present recreating the 1914 Class photo on the building's north side and a steak and lobster banquet, followed by a "Rock Legends" concert by local musician Billy McGuigan. Most recently, the Scottish Rite raised $175,000 to restore the 1926 Kilgen & Son pipe organ to its original glory. Lincoln-based organist Dr. John Friesen both oversaw the restoration work and dedicated the organ with a concert in December, 2014. The next year, Fe-Fi-Faux studios returned to paint a beautiful mural on the parking garage wall to the west of the Scottish Rite. 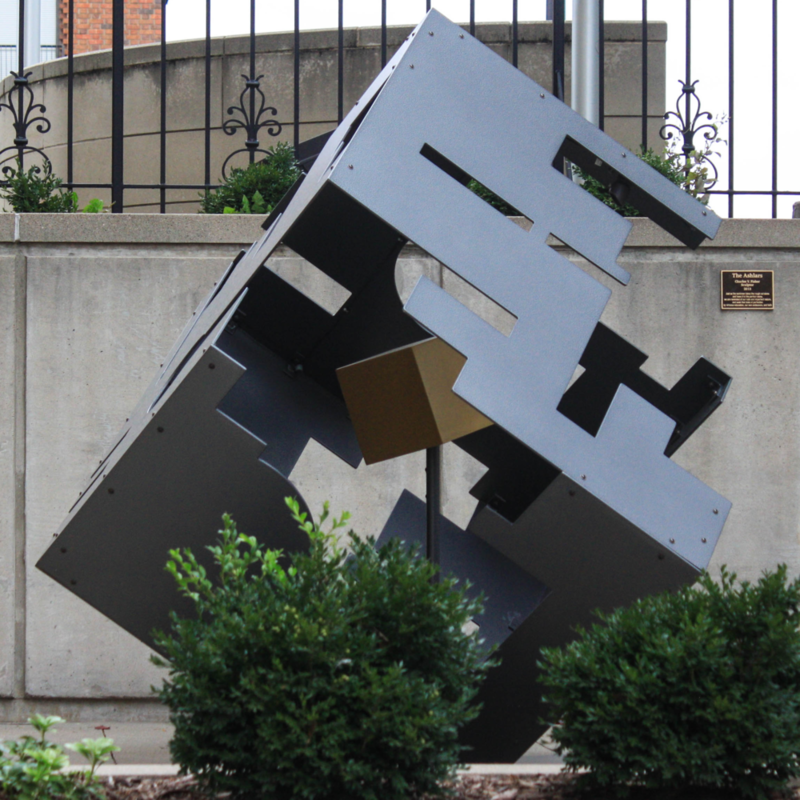 This little-used, trash-strewn corner of the building was redesigned to highlight Bulgarian-born, Virginia-based artist Ivo Koytchev's mural with a landscaped garden. 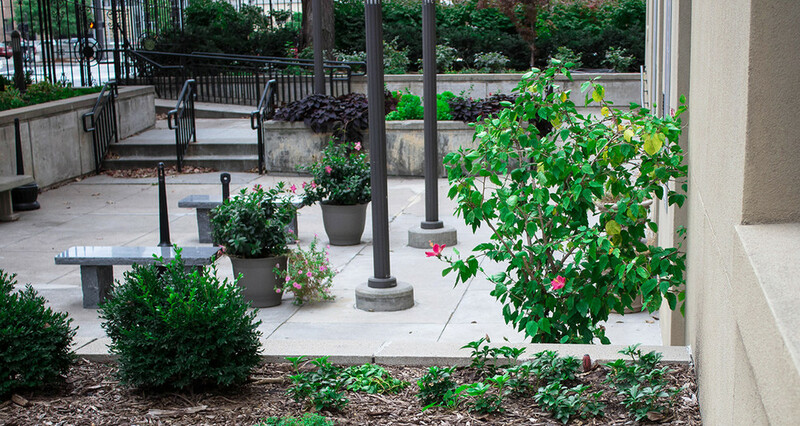 Once a barren corner, the Scottish Rite mural and garden welcomes guests to sit, reflect, read and relax. 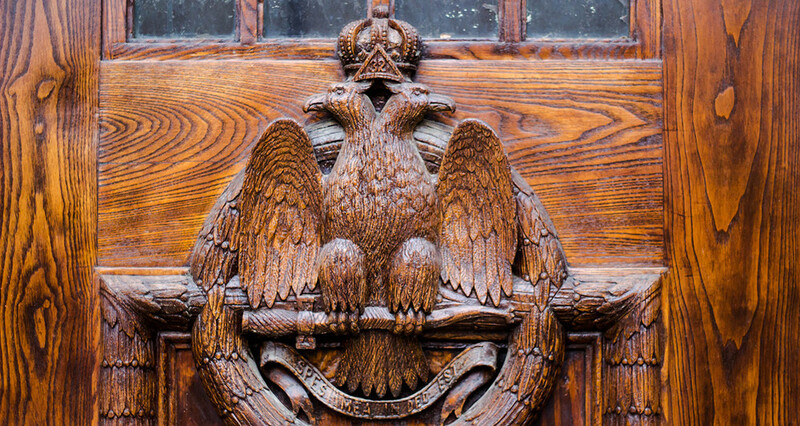 As we move into the Scottish Rite Masonic Center's second century, we look for a bright future with men joining and remaining involved and engaged as volunteers and leaders.